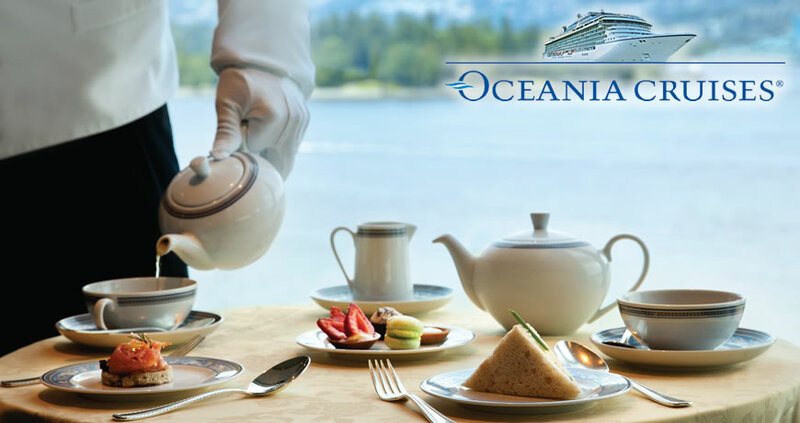 While some people choose a cruise line for the bells and whistles the ships offer, guests that cruise with Oceania Cruises experience something quite different. 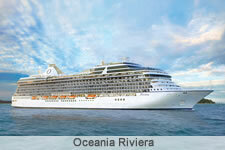 Oceania brings the country club lifestyle to sea. 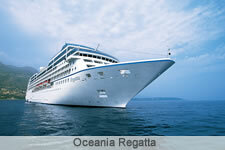 Their ships have a warm and intimate onboard atmosphere that is elegant, but never pretentious. 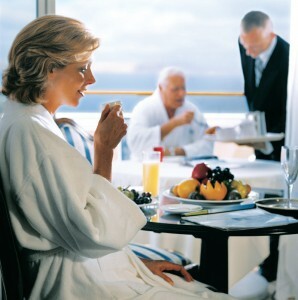 The level of personalized service onboard is unrivaled, as a result of having two staff members for every three guests. 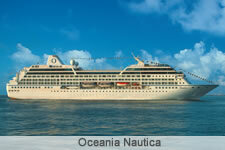 Oceania allows guests to explore the world in unsurpassed style! 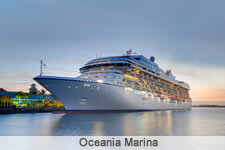 For those not familiar with this cruise line, Oceania is considered to be an upper-premium cruise line, positioned squarely between the smaller ship luxury segment (Seabourn or Silversea) and the larger ship premium segment (Celebrity or Holland America). Oceania offers a vacation that emphasizes fine food and wine, luxurious accommodations, personalized service, and award winning itineraries. 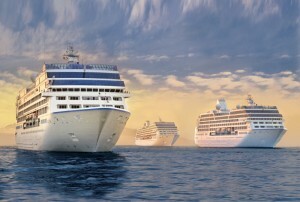 The fleet consists of four mid-size ships; Regatta and Nautical accommodates 824 passengers (ships that were formerly part of the now defunct Renaissance Cruises fleet) and two new builds, Marina (2011) and Riviera (2012) that carry 1,260 guests. 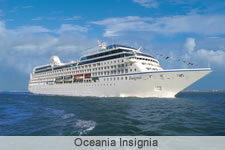 Oceania ships have very port-intensive itineraries, so the onboard activities and entertainment are not as varied or plentiful as on larger ships. There are few planned daytime activities. 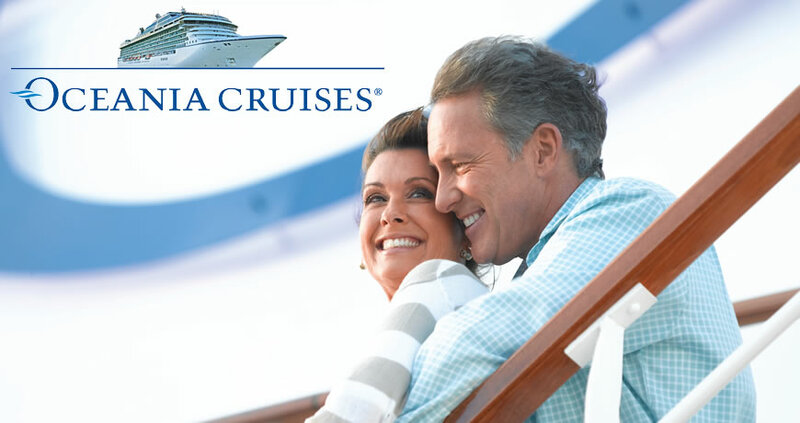 The cruise line does have an excellent enrichment program – classes, workshops, and lectures that appeals to guests in quest of personal growth. The sophisticated, adult atmosphere on days at sea is enhanced by a combo performing jazz or easy-listening melodies poolside. The line’s newest ships offer the Bon Appétit Culinary Center for hands-on cooking classes, and an Artist’s Loft manned by guest instructors. Evening entertainment leans toward light cabaret, solo artists, and music for dancing. A lot of emphasis is placed on dining; both the experience and the cuisine, the latter created by legendary chef Jacques Pépin. 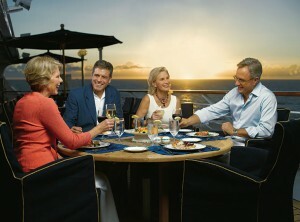 Menus artfully reflect the regions where the ships sail, enhancing the overall cruise vacation. Tables are beautifully set with European bone china, sparkling Riedel crystal, gleaming silver and fine, cotton linens. 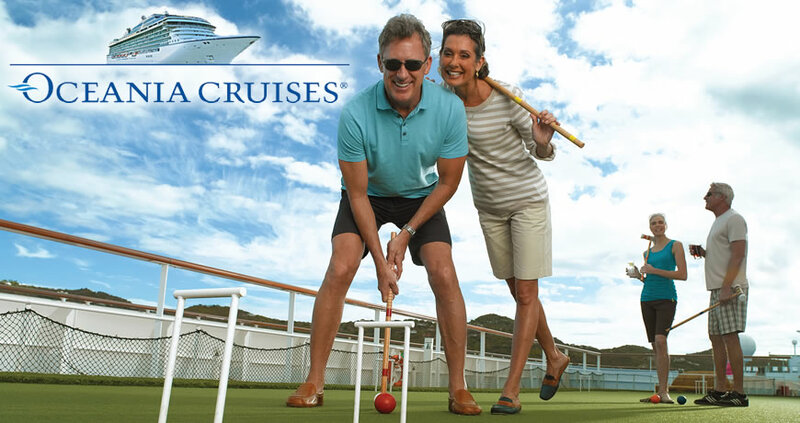 Each ship has several distinct restaurants, offering open seating and a smart casual dress code. Although guests of all ages are welcome aboard any Oceania ship, it should be noted that there are no dedicated children’s facilities or program onboard. The one exception will be 2013 family-friendly Alaska itineraries. 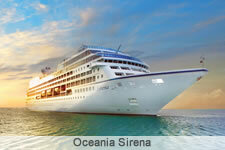 Come aboard a luxury Oceania vessel and see what sets the experience apart! Oceania Cruises sails the world, and its destinations include Australia, New Zealand, Antarctica, the Amazon, Baltic, Black Sea, China, the Far East, Greek Isles, Mediterranean, Scandinavia, Russia, Southeast Asia, India, Arabia, Africa, Central America, the Caribbean, Alaska, South America and the Panama Canal.